ISBN 393313689X. Folk; World. 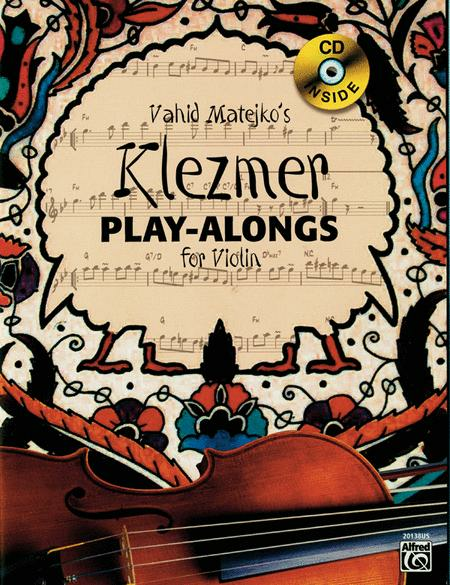 Vahid Matejko's Klezmer Play-Alongs for Violin is perfect for the player who wishes to study Klezmer music more intensively. The book covers the complete emotional spectrum of the Klezmer style, and it will be a pleasure for all violinists to get more familiar with the nuances of this unique musical language. Where some passages appear technically challenging due to the high octave range, the composer recommends performers feel free to transpose and play those passages one octave lower precisely as an "authentic" player might. The chord changes shown above the engraving can be played as an accompaniment by pianists, keyboardists, accordionists, or guitarists, and the included play-along CD gives you ready access to your own Klezmer band. Also available for clarinet (00-20139US)!